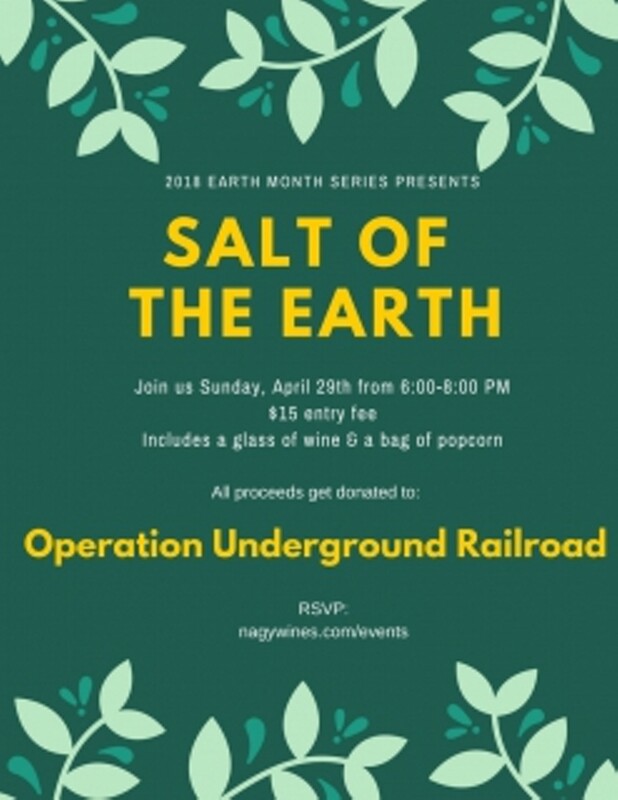 Screening of the documentary Salt of the Earth. Proceeds benefit Operation Underground Railroad. Admission includes popcorn and a glass of wine.